A blog cannot deal with all aspects of a subject and is not intended to replace professional advice. It's purpose is to highlight information and identify areas of possible interest. Anyone wishing to discuss this blog or to make any comments or suggestions about this blog is invited to do so by either posting comments or emailing me directly. Who a real estate agent actually works for is one of the most misunderstood topics in real estate. I learned this one through personal experience, one of life’s toughest teachers. Years ago, my wife and I were driving around looking for one of our very first homes, we came upon a raised rancher with wonderful trees and a spacious yard in our ideal neighbourhood. It was love at first sight and we couldn’t stop thinking about living in that home! We wanted to see inside it so we called the real estate agent who’s name was on the sign to make an appointment. 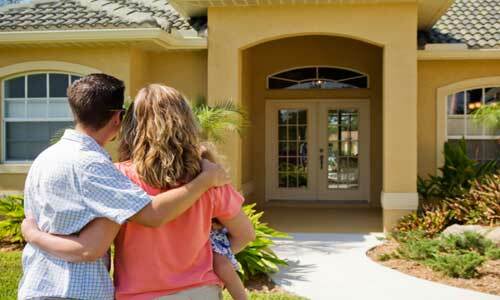 We just made the Number One mistake home buyers make! The agent whose name is on the real estate sign works for the seller. They are called the Listing Agent and their job is to get the best deal for the seller, not you! We ended up writing an offer with this agent, not knowing that we could have had our own Buyer’s Agent at no additional cost to us. We did not have an advocate looking out for our best interests in the transaction. We could have gotten the home for a much better price, we could have had the opportunity to get a home inspection to know what repairs would be in our future, and we would have known the "summer kitchen" in the basement wasn't legal and needed to be removed -- if we’d only gotten educated like you are doing right now. I want you to learn from our mistakes, so do yourself a favour and find an exceptional Buyer’s Agent! FIRST-TIME BUYER'S TIP: Choosing the right Buyer’s Agent may be your most important decision when buying a home. An exceptional one doesn’t cost any more than a mediocre one! In fact, it'll likely save you money. In accordance with Canadian Anti-Spam Legislation (CASL), we do NOT give our permission for other commercial enterprises to contact us for any other commercial messages by email, text message, fax or telephone. Required Disclosures: Different commission rates, fees and listing and marketing services may be offered by other RE/MAX franchisees, brokers and associates in Canada. All realty services offered and provided through exclusive independent contract through, and on behalf of, RE/MAX iRealty Innovations. Incentives, inducements, commission rates and representation agreements are offered on behalf of, and with the authority granted by, the brokerage.